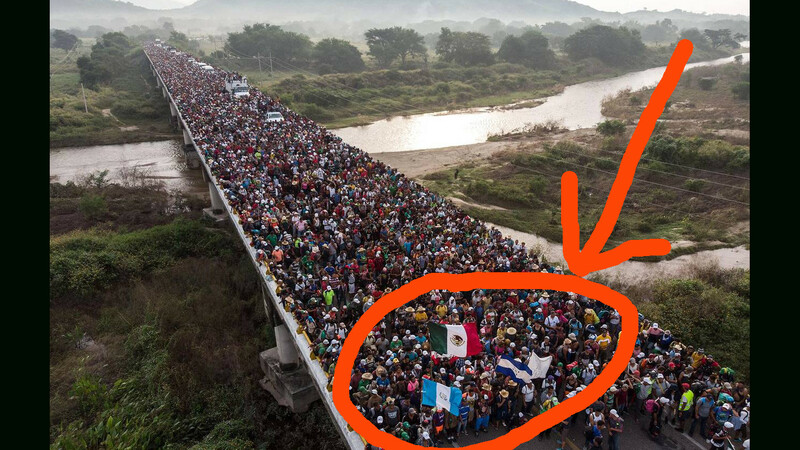 DAILYKENN.com -- The corrosive social infrastructure that seems inherent to Mexico has absorded an estimated 100 members of the "migrant" caravan. Reports say the victims were snatched by human traffickers. Some of the victims were children. Around 100 members of a refugee and migrant caravan travelling towards the US have reportedly fallen victim to organised crime as they moved through Mexico. Thousands streamed into Mexico City on Monday to seek shelter in a sports stadium on the eve of the US midterm elections in which Donald Trump has repeatedly warned about the advancing caravan and ordered thousands of troops to the border. But around 100 members, including children, did not arrive in Mexico City because they were kidnapped along the route and handed to organised crime groups, Arturo Peimbert, ombudsman for the human rights commission in Oaxaca, told HuffPost Mexico. Mr Peimbert said they were kidnapped in the state of Puebla as they attempted to reach the capital from Veracruz. He said the federal government had put “strong pressure” on transport companies along the caravan route not to pick up the migrants, forcing them to walk through an area he said was “the largest grave in the country, where hundreds of people have disappeared”.